The ridiculous and hilarious Gal*Gun 2 is now available on PC via Steam, to complement its previous release on PlayStation 4 and Nintendo Switch. For those who haven't played a Gal*Gun game yet, this is a series of on-rails shooter in which the player needs to prevent a school filled with girls from attacking him - not to hurt him, but rather to give him kisses and love notes. It's all about fan service, from the presentation of its ridiculous narrative through to the ability to vacuum up those aforementioned girl's clothes right off their bodies. The Steam port is a straight port of the game, so it's really only there for people that might be interested in the game but don't have one of the consoles it has already launched on. 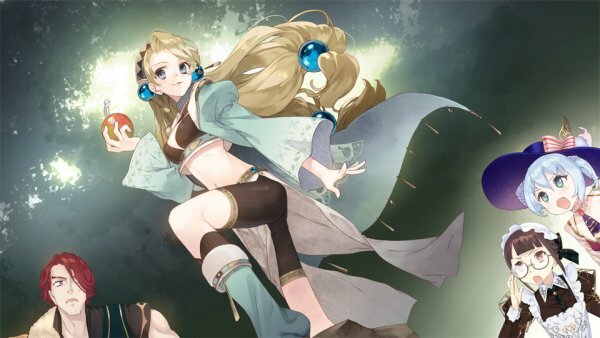 New screenshots of Nelke and the Legendary Alchemists from Japan! 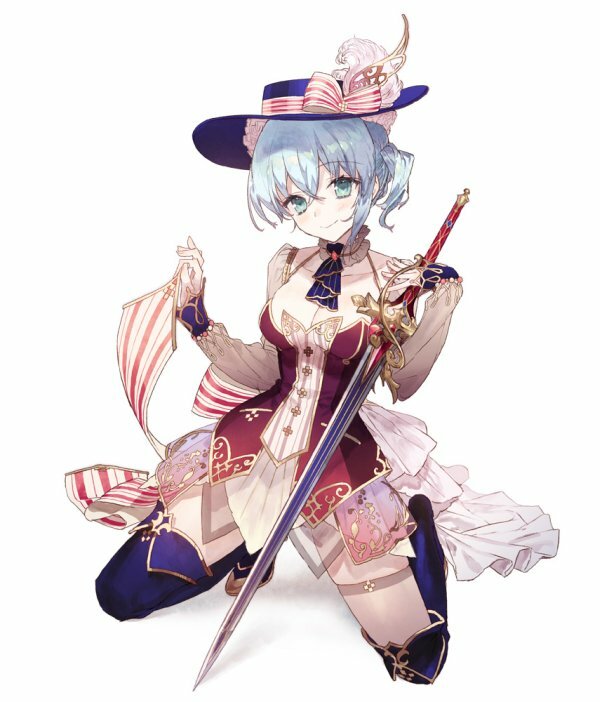 Not much of a news update here, but Koei Tecmo and Gust have released some new screenshots of the exciting upcoming Nelke and the Legendary Alchemists, the newest in the Atelier franchise, as well as a new character art of Nelke herself, which is really quite gorgeous. 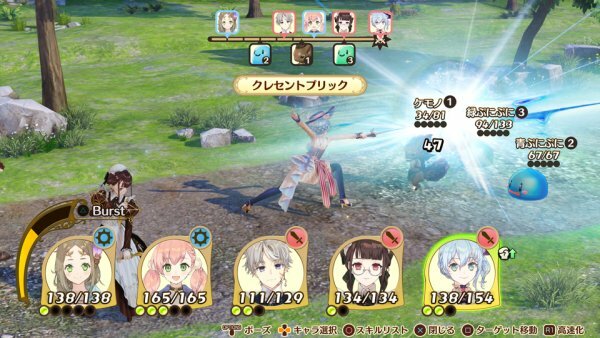 These screens show the combat system at work, which will allow you to take up to five of your favourite heroes into battle each time. 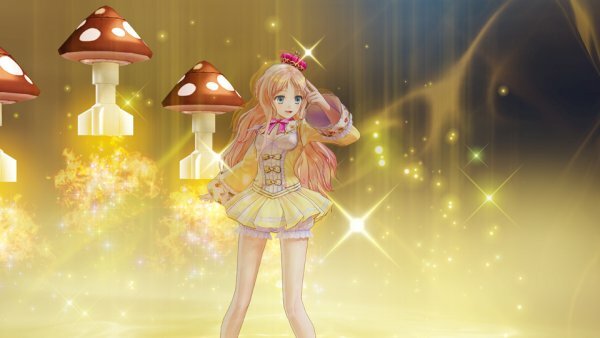 For me that's going to be Meruru, Escha, Firis, Rurona and Lydie, assuming they all end up in the final roster (and I do assume). It looks like Mushroom Wars 2 will have competition for the best light RTS on the Nintendo Switch when Crush Your Enemies arrives on August 2. Released on PC and mobile platforms back in 2016, this one has had a pretty good response from players and the media alike over the years. The game is designed around fast, short battles, and features the all-critical local and online multiplayer, which is where the real fun will be. Build units, move them around a map and capture territories with none of the frills and complexities that make more advanced strategy games such a time commitment. The game's sense of humour won't be for everyone, but as long as the action itself remains enjoyable, this could become another sleeper hit on the Switch. Brawlout is a Nintendo Switch release that we missed on DDNet, but it's been a pretty significant success, having sold over 150,000 copies. Now it's headed to PlayStation 4, and will launch on August 21 with a new fighter, Yooka-Laylee. The game also includes heroes from Hyper Light Drifter and Guacamelee!, along with a range of original characters. It's not quite the all-star cast of the Smash Bros series proper, but the action looks fluid and enjoyable, and with Sony showing no intent on making another all-stars brawler of its own, this might well be the only fighter of this kind that you'll be able to grab on PS4. There's a new trailer, introducing the new character, above.